Say goodbye to grilling on your private patio or lounging on the sundeck and hello to cozy nights at the fire pit and cool breezes. It’s fall in the Midwest! Whether you want a bushel of freshly picked apples or night time frights, here are five attractions near Lisle that are sure to entertain and delight this fall. At Konow’s you can literally immerse yourself in the fall splendor by walking through one of two unique corn mazes: a smaller maze which is approximately 0.4 miles of walking and a sprawling maze which totals to an impressive 3.4 miles of walking. Don’t let the name mislead you – Konow’s Corn Maze offers so much more than getting lost in the crops. In addition to outdoor activities, Konow’s offers 2 corn kernel pits, an indoor western town, arcade style shooting gallery and “Konow’s Mining Company” where kids can “mine for fossils and gems”. Enjoy all fall activities in the afternoon but stay through the evening for dinner from several concessions stands. 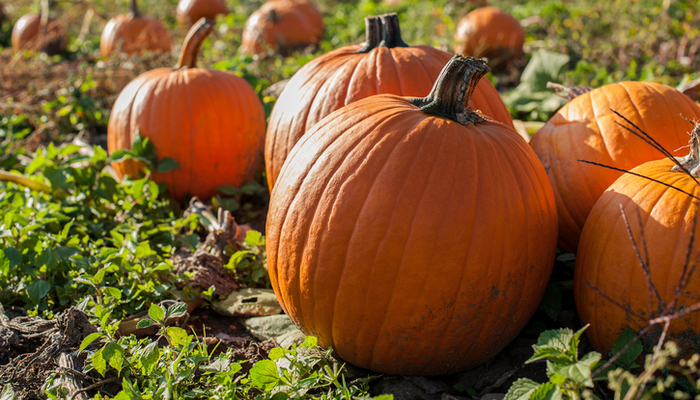 Visit Keller’s Farmstand in Oswego for a variety of fantastic fall activities. During the week you can pick several varieties crisp and juicy apples and pears right off the tree or choose a prize-winning pumpkin from the large pumpkin patch. Visit on the weekend for access to an expanded variety of attractions. Get lost in a 10-acre corn maze, home on a wagon ride (weather permitting),or just enjoy the large play area for kids of all ages. Before departing Keller’s, make sure to check out the farm stand and stock up on seasonal favorites such as apple cider, apple butter, apple cider doughnuts and pumpkin butter. For a longer lasting souvenir, you can purchase a potted plant or festive gourd. Even though the Morton Arboretum is open 365 days a year, if you only visit once, visit in fall. Surround yourself in an explosion of colorful foliage at the Morton Arboretum’s Fall Color Festival. You can choose to walk through the paths or bring your bike for a leisurely ride. In addition to nature’s beauty, Morton Arboretum hosts seasonally themed events such as Creatures of the Night seminars, a Scarecrow Trail and Glass Pumpkin Patch. Kids and adults alike are sure to enjoy the Jack O’Lantern Hikes. More information on these, and other fall events can be found on the Morton Arboretum website. Like the Morton Arboretum, Brookfield Zoo is open year-round. In the fall, however, the zoo hosts “Boo at the Zoo” every Saturday in the month of October. Not only are you visiting one of the best zoos in the United States, but guests can enjoy trick-or-treating stations, crafting stations, a haunted hayride, pumpkin smasher and costume contest. A great event for visitors of all ages! Visit the Brookfield Zoo website for more details about specific weekend events or to buy tickets ahead. Fall isn’t just about bringing in the harvest or changing leaves. The shorter days and longer nights, while the weather is still tolerable, make fall the perfect season to visit a haunted house. The Basement of the Dead Haunted House in Aurora started as a family hobby and has evolved into one of the scariest haunted houses in the state of Illinois, as well as the United States. Literally in the basement of a decrepit 100-year-old building, this top-rated attraction brings the dead to life through disturbing sets and props, subtle lighting as well as a sensational group of actors. The Basement of the Dead Haunted Heart is not for the faint of heart – enter at your own risk!